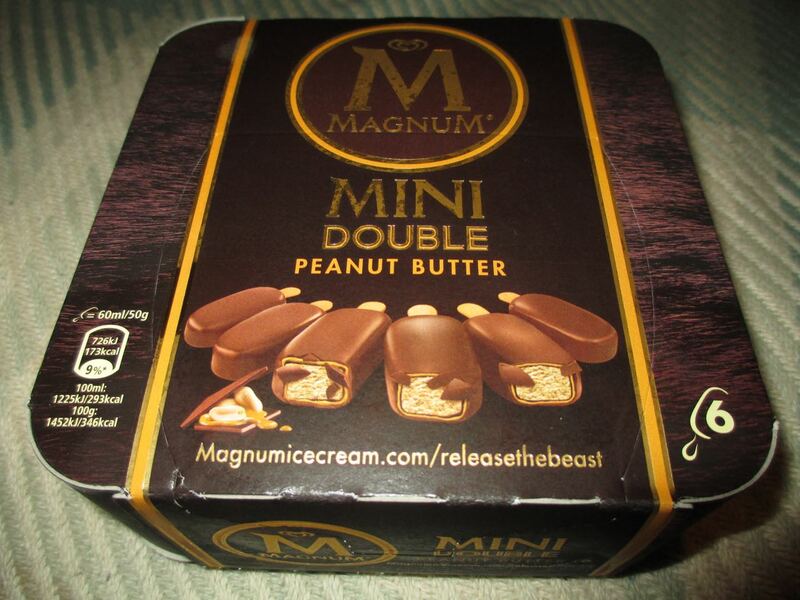 As somebody who is a fan of peanut butter and chocolate the new Magnum flavour of Double Peanut Butter just sounded too good to miss. 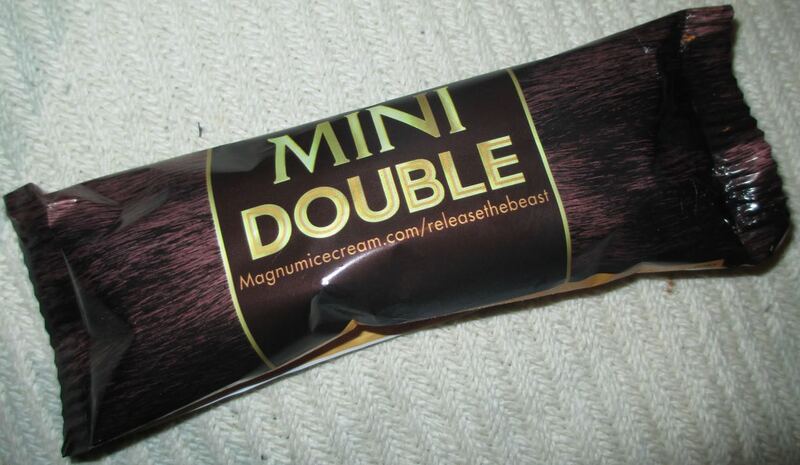 I have been searching for these new ice creams for a while but so far all I could find were the Mini version. Its basically the same thing but designed as a smaller treat. I couldn’t wait to bite into the Magnum ice cream and see what lay beneath the “double” coating. The inner layer is the peanut butter ice cream, followed by a chocolate layer, peanut butter sauce and the classic magnum coating. Over all I really enjoyed this ice cream as a whole. I thought the texture provided by the double layers worked really well. I love a mix of textures and so this appealed to me. The combination of the peanut butter sauce and the chocolate was heaven, I thought that worked like an absolute dream and pure indulgence. The only downside was the ice cream, and it's not that there was anything wrong with it as such it is just that it was very creamy and I would have preferred a stronger nuttier taste. The flavour it had felt to me more of a generic mild nut flavour than the full on peanut butter kick I was hoping for. Having said that the majority of the ice cream was eaten with the rich sauce so tasted perfect, it was just the last few licks when you are down to just ice cream and I was still craving peanut the butter sauce element. Also available in the new Double range are Double Chocolate and Double Caramel; which I also have my eye out for. Roll on a bit of sunshine and the ice cream cabinets at the supermarket will hopefully have the full range.